For flattening and tenderising succulent steaks and chops, try the OXO Meat Tenderiser. 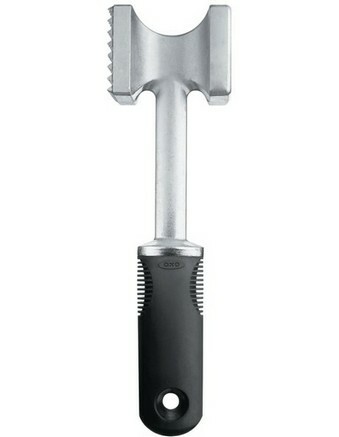 It features a non-stick head for easy cleaning, with a textured side for tenderising and a flat side for pounding. Its solid aluminium construction makes it extra durable.